This album has been viewed 3968 times since 01/31/05. This album has been viewed 4120 times since 09/03/03. 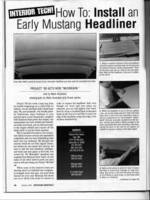 Post of Mustang Monthly article Oct. 1996 on headliner install. This album has been viewed 3288 times since 11/11/05. 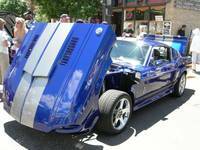 Mustang Hauler has been SOLD! This album has been viewed 4338 times since 01/19/05. This album contains 267 items. This album has been viewed 4122 times since 06/19/04.